The evolution of major furniture design movements in the 20th century began as reactions to what artists perceived as the limiting and claustrophobic nature of the culture and mores of Victorian society. Movements were also revolts against the Industrial Revolution. Some movements resulted in decorative and ornamental furniture while others led to the production of mass-produced, more practical items. 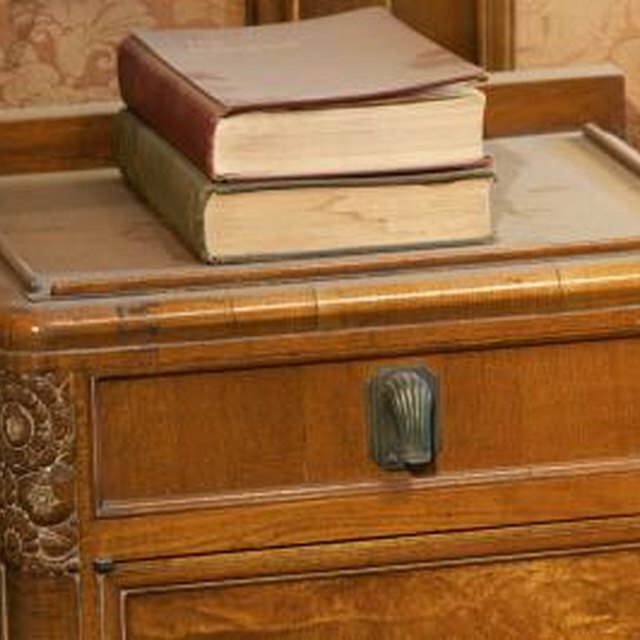 Art Nouveau furniture of the early 20th century features elaborate designs. The Art Nouveau movement began in the late 19th century and lasted into the second decade of the 20th century. It developed in Europe and North America. Art Nouveau is an elaborate decorative style influenced by forms and lines in nature. Artists developed furniture in the period as a revolt against the strict culture of the Victorian era. Intricately designed stained glass windows, armoires, chairs, mirrors, lamps with patterns of stylized curves and images of dragonflies, stalks, irises, grasses, snakes and animal forms typify pieces from the period. The Mission style was a part of the early 20th century Arts and Crafts movement that developed in England. Mission style furniture has clean, simple lines in contrast to the elaborate designs of Art Nouveau pieces. Ornamentation on mission furniture is minimal. Simple decorative elements are typically influenced by Native American imagery of the Southwest. The style became very popular in that region of the country and influenced the architecture of Craftsman style houses. Solid flat panels are used to construct mission furniture from wood like oak, mahogany and cherry. The Art Deco movement enjoyed a long period of popularity after its beginnings in Paris during the early 20th century. It influenced architecture, jewelry, film and painting, as well as furniture design. The name is derived from a 1925 exposition in Paris attended by designers and architects from the United States. Art Deco pieces feature metals like stainless steel, aluminum as well as inlaid wood. Lacquer finishes are common in Art Deco design. Bold, symmetrical geometric and abstract forms and patterns are characteristic of the style's furniture. Some artists incorporated trapezoids and zig-zag shapes into their furniture designs. The roots of Modernism are in pre-World War II industrialism. It is an outgrowth of the Art Deco movement with a more extreme emphasis on bold forms. Modern furniture has little to no ornamentation and designers valued function over form. Italian, Japanese and Scandinavian art heavily influenced modernism. The furniture of the period is abstract and features industrial materials such as plastic and steel. Furniture was designed to be mass-produced for a post-World War II consumer society.